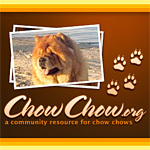 You are all wonderful and your Chows are beautiful. I have Murphy a small maybe mix Red Chow, almost 5 years old. How long does it take to activate? It has been almost a week. What do I do if it does not activate? Hopefully you can help her out! Murphy's account has been activated. I sent Murphy an email.